#SunnyvaleCA Often when patients come to me with leg pain caused by sciatica, it is really caused by something that goes even deeper. Hello. My name is Dr. Tropea, and I am one of the top chiropractors in Sunnyvale, California, and my office is located at 260 S Sunnyvale Ave, 94086. I have been successfully treating patients experiencing pain from sciatica for many years, and I believe that I can help you too. More often than not, sciatica is not the cause of your pain. The sciatica is often a symptom of something else, such as disc tearing and spinal stenosis, which I can help treat through a number of chiropractic therapies, including spinal manipulation, stretching and resistance techniques, and trigger point therapy. I will also teach you exercises when you visit my office that is located at 260 S Sunnyvale Ave, 94086. #SunnyvaleCA Greetings, California! I am Dr. Tropea. If you live in or around Sunnyvale, I am available to help you to deal with your disc problems and the pain they cause. 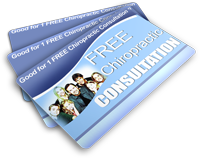 As a highly regarded chiropractor in Sunnyvale, I have successfully treated many patients. There are a number of causes for disc problems, and I have treated many cases in Sunnyvale involving all of the different types of disc problems. Disc problems are common conditions and can affect both men and women. Some of my patients here in Sunnyvale are having disc problems because of genetics, accidents, overuse, muscle strain, disc degeneration and other abnormalities in the muscles, the skeleton or the spine. As a chiropractor in Sunnyvale, I specialize in the treatment of many of these problems, including treatment of the vertebrae and the muscles, and can help you to learn to effectively manage your pain. The pain can be mild to severe and may be bad enough to keep a patient bedridden at times. However, with effective chiropractic treatments in my office in Sunnyvale, you can get rid of the pain. If you live in Sunnyvale and are dealing with the pain of disc problems, you should know that there is relief in Dr. Tropea’s office. Stop dealing with the pain of disc problems now – visit me, Dr. Tropea, the premiere chiropractor in Sunnyvale so that you can get back to your life. #SunnyvaleCA Hello. My name is Dr. Tropea, and I am a chiropractor in Sunnyvale, California, I have successfully helped hundreds of patients who have experienced shoulder and arm pain, and I am certain that I can treat your pain too. If you are living with shoulder or arm pain, you are doing so needlessly. You can come to see me, Dr. Tropea, in my office at 260 S Sunnyvale Ave, 94086, because I can get to the root of your shoulder and arm pain and will use the latest chiropractic techniques, as well as some tried, tested and true techniques, to eliminate your pain forever. Anyone who is suffering from shoulder and arm pain, and is living in the Sunnyvale, area, should come in to see me, Dr. Tropea, for a consultation. My office is located at 260 S Sunnyvale Ave, 94086, and I am available to see you. I will diagnose your condition and work to create the best course of therapy for you as an individual. Not everyone benefits from the same treatments, and we will work together to find out which treatments work best to eliminate your pain. #SunnyvaleCA To all the folks in California! My name is Dr. Tropea, and if you live in or around Sunnyvale, I am available to help you to deal with scoliosis and its problems. Known for my effective chiropractic treatments in Sunnyvale, I have treated countless patients who are dealing with this progressive condition of the spine. Scoliosis is a progressive curving of the spine which is four to five times more common in young women than in boys the same age. There are a number of causes for this condition and I have treated many kinds of scoliosis and the pain that it causes in Sunnyvale. Scoliosis is a fairly common condition, but can lead to contraction of the ribs, compressing the heart and lungs, restricting both circulation and the breathing. It can also lead to quite a few other problems relating to pain and function of the spine and back area. In addition to my treatment and adjustments in my office in Sunnyvale, you will learn special exercises to help to get you back to feeling well and without pain. In my chiropractic practice here in Sunnyvale, I have treated patients for symptoms such as pain, stiffness, breathing problems and other increasingly more serious problems. Left untreated, scoliosis can lead to a bedridden young person. If you live in Sunnyvale and are suffering from the pain and other problems of mild to severe scoliosis, there is no need to suffer any longer or give up a single day of your young life. You have better things to do than to deal with this pain. So if you or your child is dealing with scoliosis, visit me, Dr. Tropea, well-known chiropractor in Sunnyvale and start getting relief right away. #SunnyvaleCA Greetings California! My name is Dr. Tropea, and if you live in or around Sunnyvale, I am available to help you deal with the pain of migraines. When the pain of dealing with migraines is interrupting your daily life, it is time to take action by coming to see me, Dr. Tropea in Sunnyvale. There are many causes of migraines and I have treated many of them in Sunnyvale, involving many different types of these terribly painful headaches. Migraines are extremely common. Some of the patients that I see here in Sunnyvale are dealing with chronic migraines that can be caused by hormones as well as possibly stress and a number of other causes. As a chiropractor in Sunnyvale, I specialize in treating the pain and underlying cause of these migraines as well as relieving the pain and stiffness that can affect the neck or upper back because of them. I can help you to learn to deal with some of the pain of these migraines, working to eliminate it completely. Some of the symptoms that I have treated patients for in my office in Sunnyvale include the blinding pain of migraines, light sensitivity, nausea and countless other problems. Some migraines may be caused by stress or by pinched nerves in the neck, so through careful adjustments, special exercises and regular treatment, we can work as a team to relieve the symptoms. If you live in Sunnyvale and are dealing with the pain of migraines, there is no need for you to suffer any longer. You have better things to do than to deal with the pain and other symptoms of a migraine, so visit Tropea Chiropractic Inc. in Sunnyvale and start working towards your best relief right away. #SunnyvaleCA Hello, people of California! Allow me to introduce myself. I am Dr. Tropea, and if you live in or around Sunnyvale, I am available to help you deal with your hip or leg pain. As a chiropractor in Sunnyvale, I see loads of patients who are dealing with these types of pain every day. I have also successfully treated many patients in Sunnyvale. I have treated many cases of people suffering from hip or leg pain in Sunnyvale. Anyone of any age can get hip or leg pain for any reason. Some of the patients that I see here in Sunnyvale are having hip or leg pain because of accidents, strains or sprains, overuse, poor posture, spinal misalignment, as well as many others. As a chiropractor in Sunnyvale, I have specialized in the treatment of many muscular problems. Some of the symptoms that my patients have come to my Sunnyvale office to be treated for include: mild to severe hip or leg pain, numbness or tingling sensations and other problems. Through the manipulation of the muscles and soft tissues, I can not only relieve the hip or leg pain, but can also work toward restoring full movement to the area. In Sunnyvale, most people are aware of Dr. Tropea effective chiropractic treatments. If you are living in Sunnyvale and suffering with mild to severe hip or leg pain, there is no need to suffer any longer. There are better things to do with your life than to deal with pain of any kind. Instead of dealing with hip or leg pain, visit me, Dr. Tropea, the number one chiropractor in Sunnyvale and get the relief that you need right away. #SunnyvaleCA Greetings Sunnyvale, California! Are you dealing with the pain of TMJ in your Sunnyvale home? Allow me to introduce myself. I am Dr. Tropea, a chiropractor in the Sunnyvale, area. I want all of my friends and neighbors in Sunnyvale, California, to be free from the pain and other symptoms of TMJ, a painful disorder that affects your jaw and can lead to headaches and other problems. Did you know that TMJ can affect your sleep each night or can affect the way that you eat? Not only that, but it can lead to serious headaches which can also detract from living your best life and can leave you missing out on the fun and excitement that is offered in Sunnyvale. It is time to stop suffering with TMJ and also to stop trying to use traditional treatments that may not work at all. There are some doctors who may spend many months trying to find the cause of your problems and then will still be unable to help you. It is important to keep a few things in mind when dealing with TMJ and chiropractic care. First, I like to explain to my patients in the Sunnyvale area that this is an ongoing process. Second, you will have your own special exercises to do as well, making you an integral part of your own care. Finally, chiropractic care is a great way to get your TMJ under control so that you can live your life the way that you would like. #SunnyvaleCA Hello. I am Dr. Tropea, from Sunnyvale, California. As a chiropractor, I have helped hundreds of patients who were dealing with pain from repetitive stress injuries. I see more and more cases of it all the time. Many patients are coming to my office at 260 S Sunnyvale Ave, 94086, suffering from pain that is caused by repetitive stress injuries, for treatment that will eliminate their pain. Do You Want To Know How I, Dr. Tropea Can Help With Your Repetitive Stress Injury?One way that I can help treat your repetitive stress injury is to help correct your posture. Often, these injuries are caused by poor posture, which is simple to treat. I will also work with your muscles and soft tissues, manipulating them to help them heal from the injury that is causing your pain. If you live in the Sunnyvale, area, and are suffering from pain due to repetitive stress injury, stop suffering. My office is conveniently located at 260 S Sunnyvale Ave, 94086, and I am available to diagnose and treat your condition. I want to help you live a pain-free life, and teach you how to prevent future repetitive stress injuries. #SunnyvaleCA Did you know that many headaches are the result of problems with the neck, shoulders and back? Did you also know that many of your headaches can be eliminated with the care from a qualified chiropractor? Hello there. My name is Dr. Tropea, and I am a chiropractor in Sunnyvale, California. I have seen many patients who were suffering from headaches, and diagnosed the root of the problem as muscular/skeletal, and not actually in the head itself. And, I have successfully treated these patients, at my office located at 260 S Sunnyvale Ave, 94086.If you live in Sunnyvale and are looking for an alternative to taking harsh, addictive drugs for your frequent headaches, why not try chiropractic? My office is conveniently located at 260 S Sunnyvale Ave, 94086. I can easily diagnose the source of your headaches and treat them, thereby eliminating all of your pain. And, I can help you learn about lifestyle changes that can keep your headaches from coming back in the future. Stress is another cause of headaches, particularly migraines, and much of your stress may be caused by stress in the neck and shoulders. Again, this is something that I can easily treat. If you are from the Sunnyvale, area, and are suffering from headaches, suffer no longer. I am waiting to see you for a consultation, so I can get right to work on creating the proper course of chiropractic treatment for you. You want to be pain-free, and I want to help. #SunnyvaleCA Hello to everyone in Sunnyvale, California. Dr. Tropea here and I want to help you deal with all of your chiropractic needs, including problems that you have with bad backs. Whether it has happened because of a work injury, a sports injury or because of a genetic or degenerative disorder, your bad back may be keeping you from enjoying your life the way that you would like. If you live in or around the Sunnyvale area, come to my office located at 260 S Sunnyvale Ave, 94086, so that we can get started on the treatment that will work the best for your bad back. When you are dealing with a bad back, you might find other things affected as well. You may not get as much work done. You may not be able to enjoy sports or hobbies like you used to. You may not even be able to eat or sleep like you normally do. Before you let a bad back destroy your entire life, come see me, Dr. Tropea, at my office at 260 S Sunnyvale Ave, 94086, and we can start looking for the right treatment solution for you.Some people who have bad back problems may try using traditional medications or even surgery. They may even try new mattresses or other ideas that may not work very well for them. If the problem persists, it may be time to call my office at 260 S Sunnyvale Ave, 94086, for a consultation. Not only will we use careful adjustments, we will teach you exercises that will help you to get back to your regular lifestyle.